-- FAST ACTION COUPON--- Want to save 10% just TODAY ONLY? 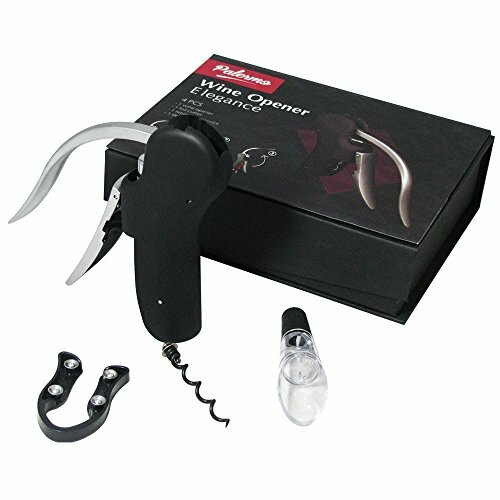 Use Coupon Code at Check Out WINESET9 Limited Stock! 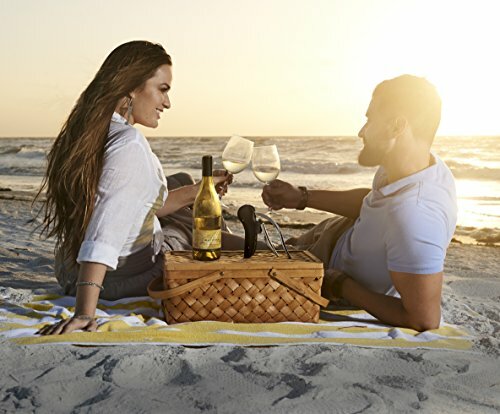 Ergonomically designed handle fits over the top of the neck, helping keep the wine bottle steady. 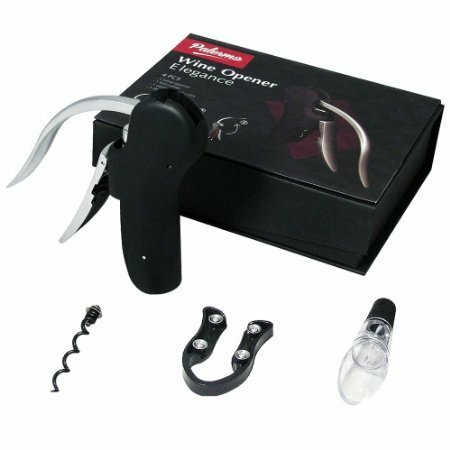 Incredibly easy to use - simply push the lever down to insert the corkscrew, the pull the lever up and remove the cork in as few as 3 seconds. HELPS KEEP CORK PIECES OUT OF YOUR WINE. Smooth lever action helps prevent damage to the cork done by the twisting of traditional corkscrews. Works on natural corks, composite corks, and synthetic corks. LONG LASTING AND EASY TO MAINTAIN. Composite body is lightweight and incredibly durable, with a sleek, velvety black finish. Stainless steel components do not rust, chip, or stain easily. EVERYTHING YOU NEED IN ONE BOX. 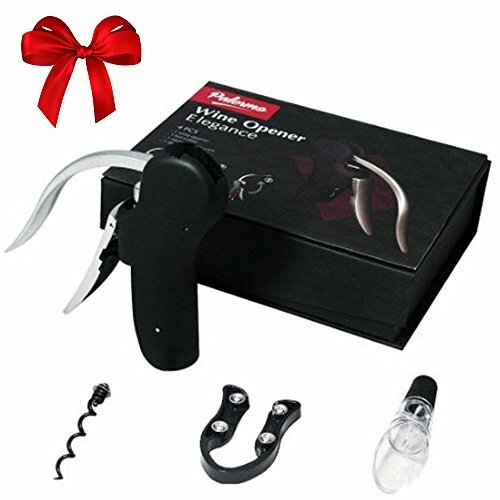 Includes lever-action wine opener, foil cutter, replacement corkscrew, and a bonus wine aerator decanter to help wine breathe when you just can't wait for that first taste. 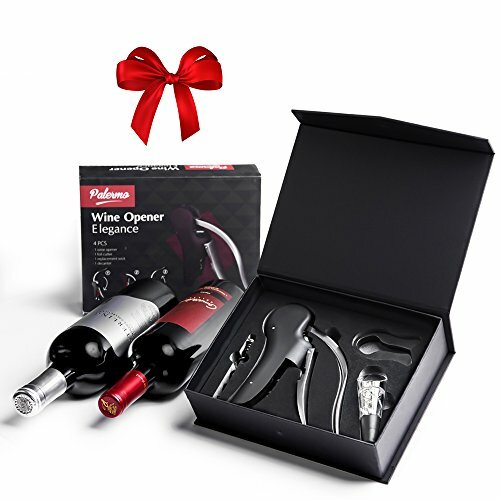 Makes an incredible gift for the wine lovers in your life. LIFETIME REPLACEMENT GUARANTEE. We are a small family-owned business and proudly offer only top quality products with lifetime manufacturer warranties. If you ever have problems with the unit or any of the accessories, our US-based customer service team will replace it right away.